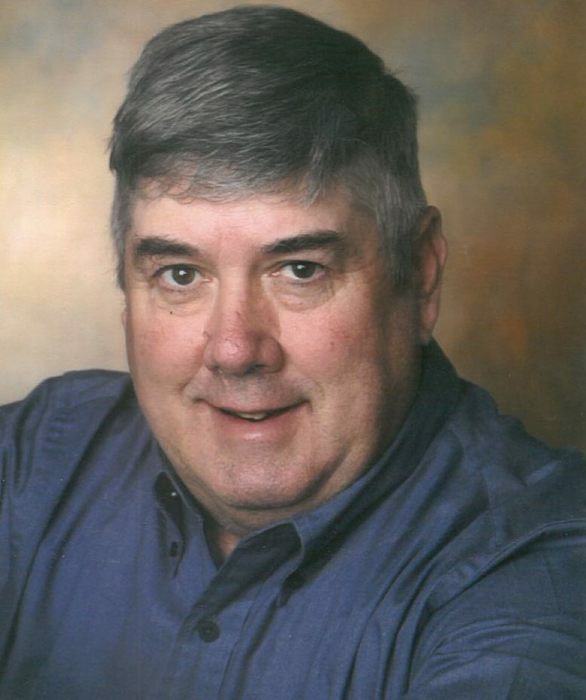 Obituary for Harry Charles Bishop | Myers Funeral Home, Inc.
Harry Charles Bishop, 68, of Middletown, passed away Friday, October 26, 2018 at Boone Hospital Center in Columbia, Missouri, with his family by his side. Mr. Bishop was born August 27, 1950 in Wellsville, Missouri a son of John William and Eathel Edna (Leverett) Bishop. He was a 1968 graduate of Wellsville-Middletown R-1 High School. Harry attended University of Missouri – Columbia for a year as well as took home courses in architecture and drafting. On July 11, 1970 at the Grace Lutheran Church in Wellsville, he married Sharon Ann Zumbehl, sharing over 48 years together. They have lived at their present address since November 1978. Harry had lived in Montgomery County all of his life. Harry was a self-employed carpenter, owning and operating Bishop and Sons Construction for many years. He was a master carpenter and had built several custom homes. Harry had also farmed. He was a former member of Trinity Lutheran Church in rural Wellsville and current member of Grace Lutheran Church in Wellsville. Harry had also been a member of the Middletown Lions Club and former member of Middletown Fire Department. Harry was an avid stamp and coin collector. He enjoyed fishing and for over 30 straight years, he went to opening day at Bennett Springs to trout fish. Harry also liked rabbit and squirrel hunting. He collected arrowheads and was an avid St. Louis Cardinals fan. Harry is survived by his wife, Sharon Ann Bishop, of the home in Middletown; children, Stephanie Ann (Bishop) West and husband, Brian, of Montgomery City, Charles Dietrich John “Chuck” Bishop and wife, Brittany, of Montgomery City and William Samuel “Bill” Bishop and wife, Mindy, of Blue Springs; seven grandchildren, Amelia Elizabeth West, Brianne Christine West, Rhett Allen Bishop, Bryce Charles Bishop and Josie Anne Bishop, all of Montgomery City and John William Bishop and Benjamin Samuel Bishop, of Blue Springs; sisters and brothers-in-law, Sharon Ruth and Thomas Davis, of Mexico and Kathryn Louise and Mike Larsen, of Spring Valley, California; brother and sister-in-law, Larry Eugene and Betty Kay Bishop, of Hallsville; in addition to brothers-in-law, sisters-in-law and nieces and nephews. He was preceded in death by his parents, John and Eathel Bishop. Visitation was held from 5:00 – 8:00 p.m., Tuesday, October 30, 2018 at the Myers Funeral Home in Middletown. Funeral services were at 10:30 a.m., Wednesday, October 31, 2018 at the funeral home. Rev. Jason Yancey officiated. Burial was in Fairmount Cemetery in Middletown, Missouri. Serving as pallbearers were Tim Bishop, Jimmy Brengle, David Lipscomb, Cory Zumbehl, Steve Zumbehl and Todd Zumbehl. Honorary pallbearers were Don Cruzen, Charlie Freie, Travis Larsen, Kerry Lehnen, Lande Lehnen, Bob Rottman and Dean Wille. Memorial contributions were suggested to the Middletown Lions Club c/o Myers Funeral Home, 203 East Bates Street, Wellsville, MO 63384.